It's that time! Time for the next month's challenge! You submitted, you voted, and your winner is... Lyfa! Congratz! Please keep in mind he/she cannot make a submission for the next month, September. Please be on the lookout for the September Submissions and enjoy the LIMITED TIME August challenge. You must complete the challenge before the end date in order to proudly use the August 2017 Badge. Because summer is the season you want to relax the most. Because summer is the time for beaches. Because summer is the time you'll watch some good stuff. Because summer is the season you gather as friends. ☼ Watch a Slice of Life anime: K-On! : Live House! ☼ Watch an anime with at least 1 beach episode: K-On! ☼ Watch an anime with at least 2 male and 2 female maincharacters: [✔] Kokoro ga Sakebitagatterunda. ☼ Watch an anime with at least 2 male and 2 female main characters: Ano Natsu de Matteru: Bokutachi wa Koukou Saigo no Natsu wo Sugoshinagara, Ano Natsu de Matteiru. ☼ Watch a Slice of Life anime: Ano Hi Mita Hana no Namae wo Bokutachi wa Mada Shiranai. Swimming, biking, tennis, fishing, cycling, running, etc. You must complete the challenge before the end date in order to proudly use the August 2017 Badge. [✔] Watch a slice of life anime: Yahari Ore no Seishun Love Comedy wa Machigatteiru. 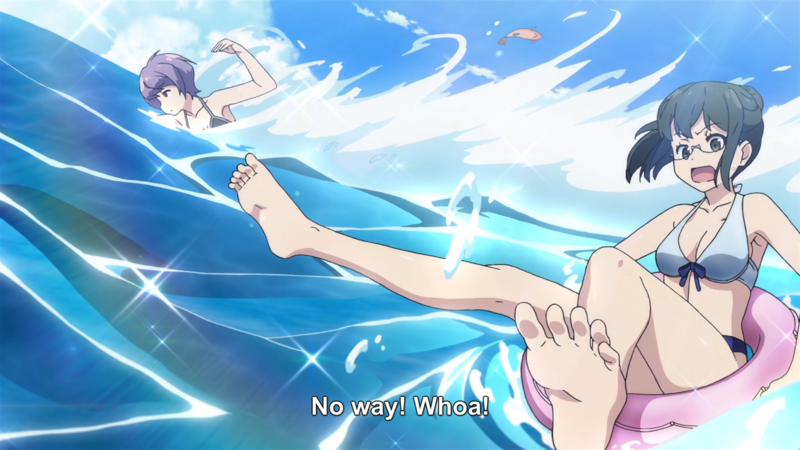 ☼ Watch an anime with at least 1 beach episode -> NHK ni Youkoso! [✓] ☼ Watch a Slice of Life anime: New Game! ☼ Watch an anime that has a MAL rating of 7.5 or over: Haikyuu!! : Lev Genzan!